As you all start your holiday baking, please remember that you can make your holiday goodies with a healthier option using olive oil! This post was sponsored by Collective Bias® to help readers learn more about the benefits of cooking and baking with olive oil. As someone who loves to bake, I tend to use only butter in my baking... especially cookies. There are only a few recipes that I will venture out and use shortening or lard. I've always thought that butter tends to yield the best results in terms of taste and texture, however (insert a big HOWEVER), there is a little known secret-- you can use olive oil in your baking! Seriously, no lie! And, trust me, you need to try it! The secret with olive oil is that it's not confined to just using as a cooking oil or in salad dressing... you can use olive oil in your cakes, cookies, and even ice cream. The flavor isn't even noticeable. You can find a plethora of recipes that use olive oil as the main fat component to help bind, flavor, and texture your food. Olive oil is an incredibly more healthy alternative to butter and vegetable oil; it doesn't have cholesterol and has healthy fats that help to lower the bad cholesterol. It's dairy free and gluten free, which is a great alternative if you're baking for others with different types of food allergies. Several years ago I was trying to look for recipes for my friend's mom who has allergies and health issues, and I came across a recipe for olive oil chocolate chip cookies. They didn't sound appealing and I wasn't sure how they would come out, but they came out beautifully! The cookies were a little bit lighter, but were firm on the outside and slightly chewy in the middle. And if I didn't know better, I would have thought the cookies were made with butter. Also, awhile back my friend Lisa made brownies using olive oil. She didn't have regular oil to use, so she used olive oil and they were the some of the best brownies that I've had! They were incredibly chewy and fudgy; everyone loved them. Recently, I purchased the new Star Butter Flavored Olive Oil from Walmart to try with some baking. Included was a wonderful conversion chart to help guide you in substituting olive oil for butter or other oil. I made these cookies, which are a variation of the base of my favorite cookie recipe, but uses olive oil instead of butter and I switched up the mix-ins. Because it's the holiday season, I decided to make white chocolate, cranberries, and pecan cookies. You can change the mix-ins however you'd like-- use milk or semi-sweet chocolate, other dried fruit or no fruit at all, other different types of nuts, or other candy mix-ins! This is a very versatile base. 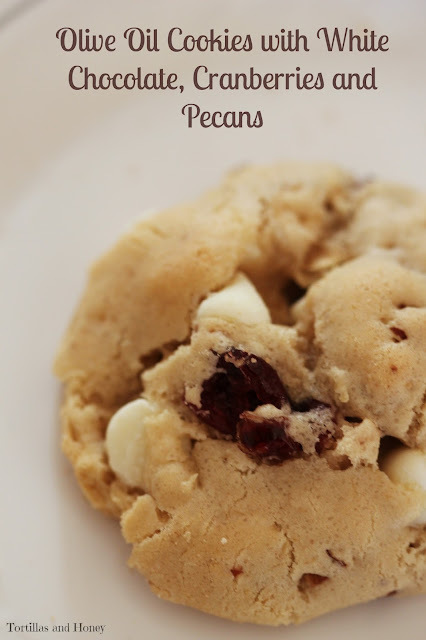 And, actually, I love the flavor of the pecans so much that next time I made these I just want to use pecans in the cookies. Also note that the texture of the cookie dough will be more dense and have a different texture, but it works itself out in the oven! Star Butter Olive Oil is also hosting a giveaway for a bottle of their butter flavored olive oil-- please visit their Facebook page to enter to win! To find out more information about Star Olive Oils and the different usages for these oils, please visit their website for more information-- they also have a conversion chart that is very helpful if you want to substitute butter for olive oil in your baking. 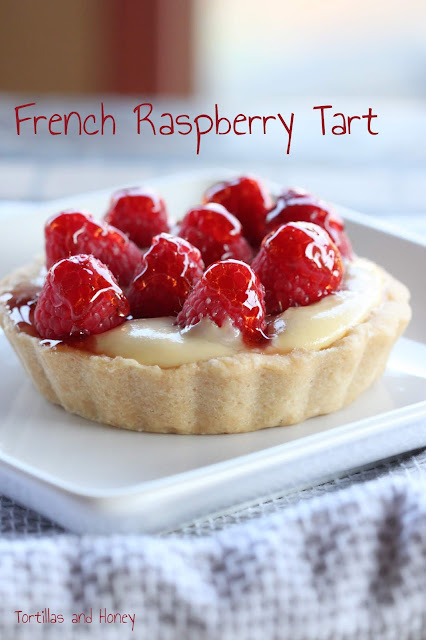 You can also visit their Pinterest page for some recipe inspiration! Next time you want to make dessert, try out olive oil in your favorite baked goodies!! In a large bowl, use an electric mixer to beat together the olive oil, brown sugar, and regular sugar until well combined-- it will look like wet sand. Add in eggs and vanilla and beat until light in color. Gradually add flour mixture until all the ingredients are well-incorporated, but be careful to not overmix. Stir in white chocolate, cranberries, and pecans. Drop cookie dough onto baking sheets by rounded tablespoons, spacing them about 1 inch apart. Bake between 12-15 minutes, until lightly golden around the edges. Cool cookies on the baking sheet for 5 minutes, then transfer them onto a cooling rack to cool completely. If you try to transfer them too early, the weight of all the goodie in the cookies will make them break apart. After cookies are completely cooled, store in an airtight container.